How to get WLMP files be played on iPhone, iPad, iPod? I created a video using Windows Live Movie Maker. The output file is in a .wlmp format. 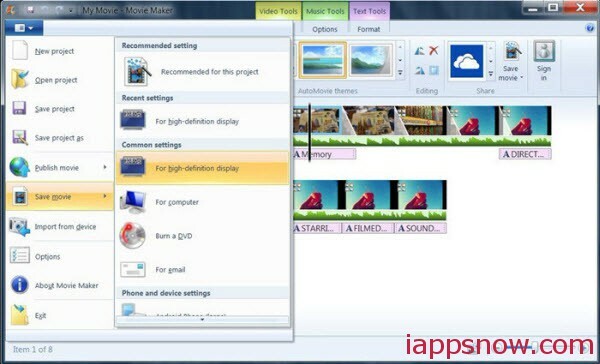 I can only view this video using this application which created it. How could the video be played by my idevices like iPhone, iPad, iPod, etc? How to convert WLMP for enjoying without format limitation? Any advice? Are you worried about the same issue? If it’s so, you need to know more about WLMP file format first. WLMP files are not actually videos. That’s why you can’t watch the output file using some media player like VLC, QuickTime. WLMP stands for Windows Live Movie Project, which is just a movie project file created by Windows Live Movie Maker. It contains movie transitions, music, and effects as well as links to digital photos and videos. To play WLMP files you make on iPhone, iPad and iPod at anytime anywhere and share them with your friends at your fingertips, you can follow the simple steps below. This is one of the most effective way to convert WLMP to MP4 formats as well as directly transfer it to portable devices like iPhone, iPad and iPod. If you save your WLMP file as WMV format with Windows Live Movie Maker, you need to get a video converter to convert your saved WLMP file to MP4 format. 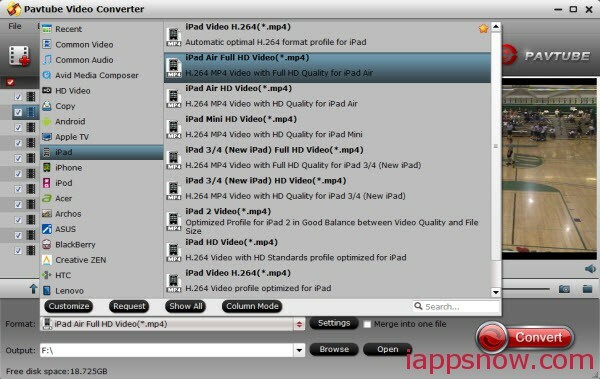 Here I’d like to introduce Pavtube Video Converter, a very easy-to-use video converting program for Apple devices which comes with flawless video quality and quick conversion speed. It integrates many presets for iPad, iPad 2, iPad 3/4, iPad Air, iPad mini, iPhone 4, iPhone 4S, iPhone 5, iPhone 5S/5C and many other presets waiting for you to pick up. Tutorials: How to convert WLMP to MP4 for iPhone, iPad and iPod? 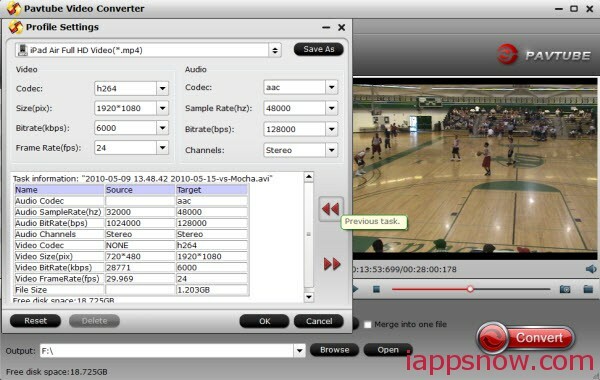 Step 1: Run this Pavtube Video Converter; add wlmp videos. Click “Format” menu to get the output video format list. A mass of formats are listed. Go to choose iOS devices directly in the list like iPhone, iPad, iPod, etc for output because they are the most compatible formats. a. You need to download a patch here to get the iPad Air, iPhone 5S/5C preset. Click “Settings” to free change video resolution, bitrate(quality), frame rate and other settings. Note that if you need to get videos in smaller size, you are suggested to turn down bitrate settings; the generated video size could also be found in this window. You can hit the big red “Convert” to start converting WLMP videos to MP4 with best video settings for iPhone, iPad and iPod. After the conversion, click “Open output folder” in the conversion window, or “Open” in main interface to quick locate the converted video. Now, you can transfer WLMP videos to iPhone, iPad and iPod for smooth playback without any problem. Enjoy your digital life!